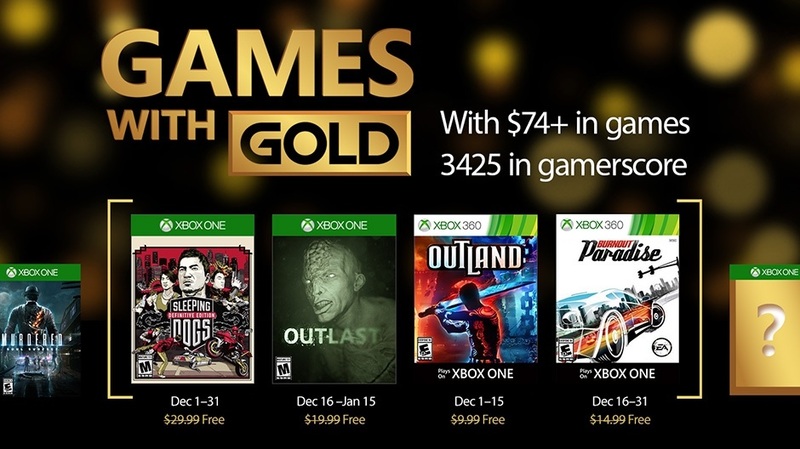 December may be a time of giving, but with Games with Gold every month feels a little like Christmas. There have been plenty of co-op games that have been given away for 'free' in the past and December 2016 is no different with Burnout Paradise and Outland amongst the games on offer. Whilst both the Xbox One games in December's Games with Gold may be single player only, the 360 is here to represent. Burnout Paradise is the type of stone cold classic that remains excellent to play even seven years on. Co-Optimus may have been a little lukewarm on the co-op elements, but I know I have spent countless hours playing the game over the years. If Burnout is a well known game, Outland is less so, but there is no shame in that. This 2 player online co-op game is a tricky platformer that requires teamwork to succeed. We loved it here at Co-Optimus giving the game a hearty 4.5 out of 5. Also available are is the single player, generic, but fun Sleeping Dogs and the fun horror title Outlast. As always these games are available to anyone with a valid Xbox Gold account.